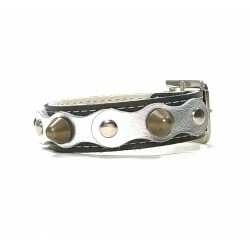 Trendy Wide Leather Bracelets | Super Original - Superpipapo: In Style with Your Pet! 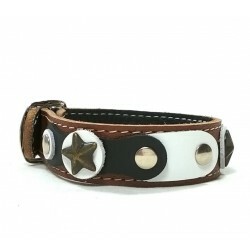 Trendy Wide Leather Bracelets There are 31 products. 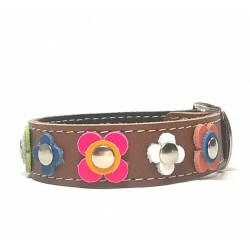 Beautiful and Unique Flower Power Leather Bracelet. 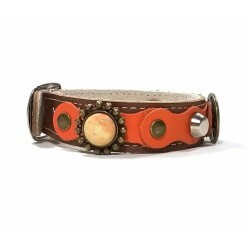 In style with your pet? Do you have a dog or cat? 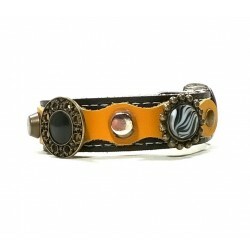 Use the search engine to find a beautiful combination with the bracelet! 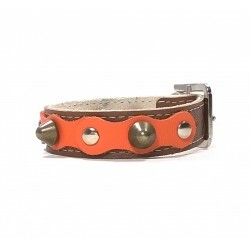 You can easily find matching harnesses, collars and leashes for your dog or cat! 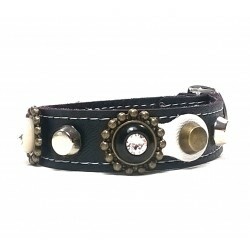 Leather Bracelet - Fashionable Trendy Black Leather. 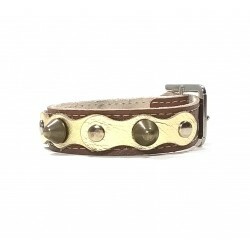 It is very unusual by its leather patches and beautiful ornaments. 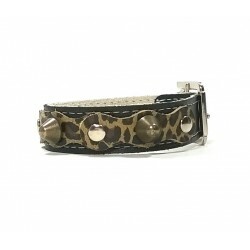 It's cool, chic and trendy at the same time: You will look spectacular! 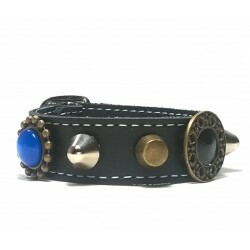 This Unique Sporty Studded FC Barcelona Barça Leather Bracelet is sturdy and beams energy. Simple in design but it reaches its goal and scores! 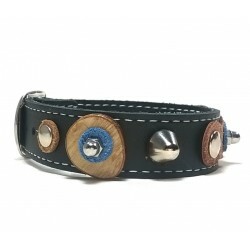 This robust cool design Leather Bracelet with leather patches, olive wooden discs and rivets has a robust different look. 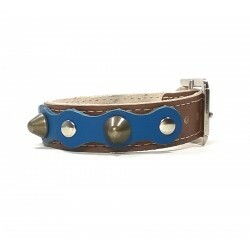 Your dog will simply look cool! 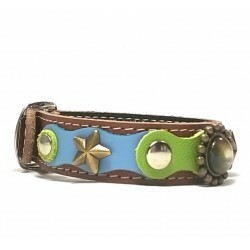 This original fashionable leather bracelet has beautiful blue and green pastel colored leather patches, golden stars and Polaris stones. An elegant but also happy design!